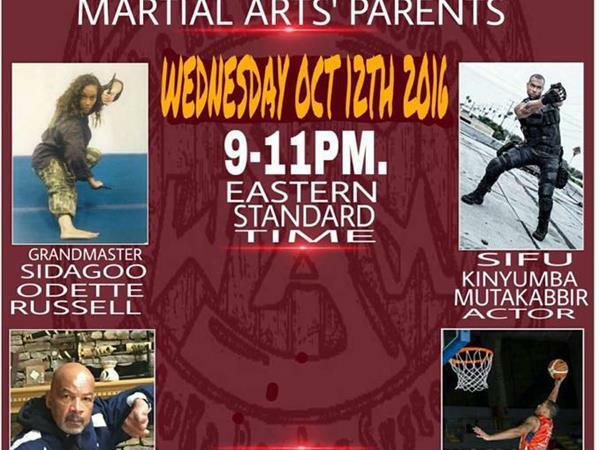 Good evening and welcome to Modern Combat Masters, tonight our Host Professor Darrell Sarjeant along with his Co-Host & Executive Producer Kancho Daniel J. Vena present Grand Master Odette Russell and her family to the program. We are so honored to have them spend time talking with us about their most extraordinary journey. Join us for our living room type discussion by dialing into the show at 1-(646)-716-6825 just before 9 pm est. If you have a question for our featured guests please press 1 on your keypad and we will be alerted on the switchboard.